Pico de Loro is one of the places that I want to visit in Batangas. Located only in Nasugbu, Batangas, Pico de Loro is a residential resort in Hamilo Coast. Before, only members of Pico de Loro beach club can stay there. But, now, you can visit and access the facilities as long as you know someone who is a member. While some people looked forward to #LaBoracay and long weekend, I looked forward to our trip to Pico de Loro a week before the long weekend. I am always a fan of beaches in Laiya, but I know that Nasugbu has great beaches that it can offer too. What's more exciting is it was a trip with Miguel's friends. Miguel and his friends know someone who is a member, and who owns a condo unit too. That made it easier for us to book. This trip is actually one of my travel plans for this year. Now I can finally cross this out in my list. From Makati, it took us almost 3 hours to get there. Supposedly, our check-in time is at 2 PM. But, we can check-in as early as 12 PM so we left around 9 AM on a Saturday. Before entering the resort, all guests should register first, then they'll issue a wrist tag for each. During registration, we are required to buy a re-loadable cash card worth Php 1,000. One cash card per group will do! If you're not a member, but you wish to visit this resort, you need to provide an authorization letter from a member. Or, a member should endorse you. 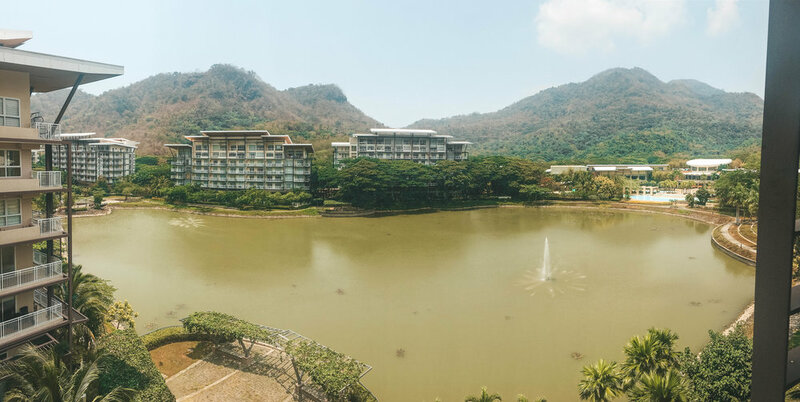 Only guests listed in the letter can enter Pico de Loro. All guests should wear a wrist tag upon registration. This allows you to use their facilities. All transactions in the resort are cashless. Thus, the cash card. You can also use debit and credit card. Guests should pay a fee regardless if they are accompanied by a member or not. We are unaccompanied, so we paid Php 1,300 each. One of the easiest way to find a member that could endorse you to Pico de Loro is through Airbnb. If you don’t have an account yet, sign up using this link to receive up to Php2,000 off of your first trip of Php4,200 or more*. *You'll see more information about your travel credit upon clicking the link. Our driver dropped us off in Carola B, the condo where we are staying. We checked-in at the front desk, and waited for the unit's caretaker. We can only stay on this beach because the beach club is exclusive to members and member-accompanied guests only. Since it was summer when we went here, you can see the people from afar. You see what I'm talking about? I didn't take a photo of the right side of the beach, but more people are staying there. I just really have high expectations on this, and I was comparing it to when my friends and I visited Virgin Beach Resort. It's pretty easy to go around Pico de Loro because there are shuttles that you can hop on. We took a shuttle to the beach from the condo. It wasn't that far, you can walk to there actually! But since we are not sure where the beach is located, we had to ride the shuttle. Apparently, there is literally no people on this side. That's why I stayed on this side too. There are a few people near the shore who are taking pictures, but still, this place seems a lot more calming than the previous photo that I just showed you. I didn't swim, as usual. One fun fact about me: I love the beach. That's obvious. But you can barely see me swimming on the beach. 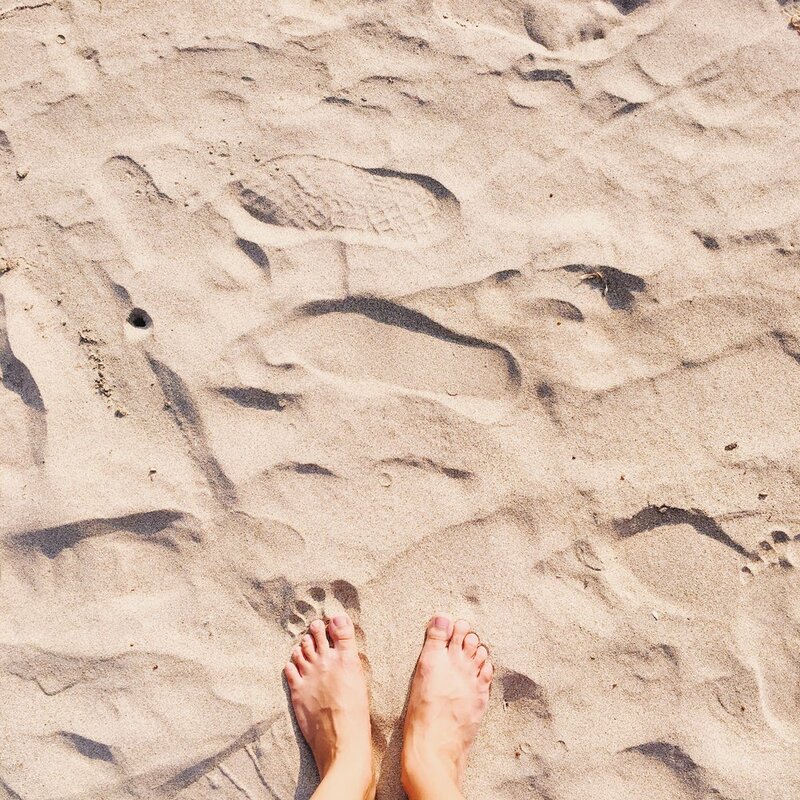 I just don't like the feeling of wet sands on my feet especially when I need to wear my slippers afterwards. If I am to come back here, you know where to find me. I like how that chair is located under the tree. What a perfect spot to bask under the sun. I can imagine myself listening to good music while reading a good book. Just the thought of it makes me excited. I know that the photos below are a good place to stay at. However, it's not free to use! We were told that you need to pay Php 700. Good thing kuya let us stay here. We told him that we will just leave if there are guests who want to occupy this place. Are you in love with the pictures already? 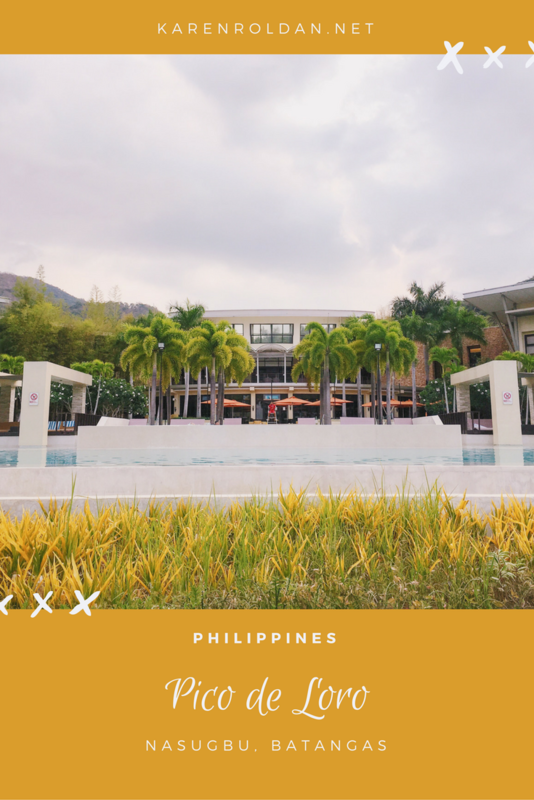 Do you want to visit Pico de Loro now? But, wait! There's more! Haha. Here are my favorite shots of the pool. I'd like to remind you that these photos were taken at around 7 AM. That's why there are barely no one in the pool. Again, we took a shuttle from the beach to the swimming pool. It wasn't that far, but it's better to take a shuttle. If you are a large group, you may find it difficult to ride altogether because one shuttle can only accommodate 15 people including the driver. I like how the shower rooms and changing rooms are air-conditioned. So far it's the best that I have ever seen! I couldn't take pictures, but trust me, it's the best! 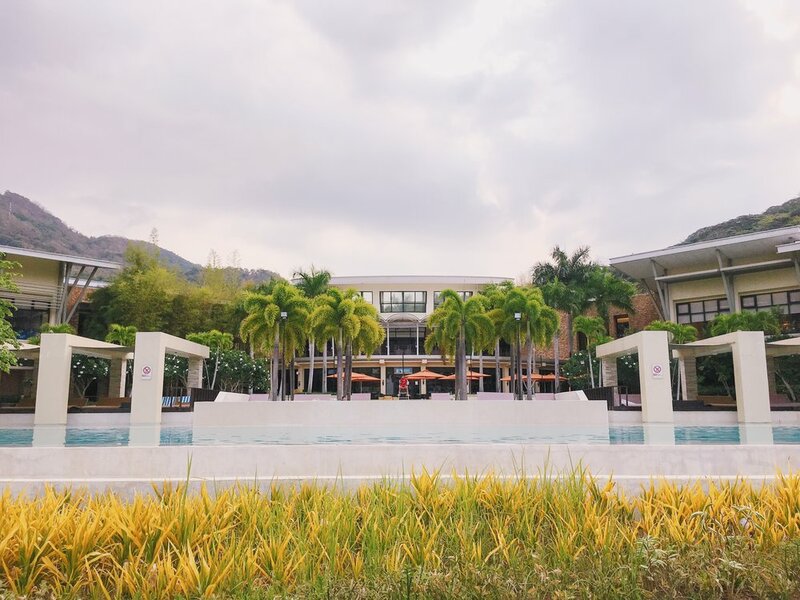 There are a lot more that you can do in Pico de Loro. However, majority of the activities there are not free. Go on a group so you could divide the expenses on accommodation and transportation. Cook your own food; Or, order your food beforehand and bring it to the resort. Visit Pico de Loro on lean season. If you're friends with a member, invite him/her so you'll save more. Yes, more.